Small Business Loan Singapore – Tougher For SMEs To Access Credit? Home Blog Posts Small Business Loan Singapore – Tougher For SMEs To Access Credit? Is it tougher for SMEs to access small business loan in Singapore? Are SMEs being marginalized in the financing market? In a 2016 SME Development Survey conducted by DP Information, cost of financing is the fourth biggest cost issue for many SMEs. The root cause of financing difficulties in securing SME loans in Singapore for local SMEs lies in the segmentation conundrum from banks. SMEs are generally too small for banks to invest resource in for loan origination. However, they are much complex than typical retail banking lending credit models to be applied on. Why do banks find small business lending a risky segment? Commercial banks need to keep their loan books safe and profitable for management. Security such as collateral for loans would be preferred. Unfortunately, most SMEs would not be able to put up significant collateral. There is also a lack of data available on SMEs for banks to carry out a full due diligence and credit analysis. Therefore, most SME financing are granted without collateral and is backed by director’s personal guarantee only. This makes the SME financing segment a high risk one for the banks. Banks’ credit department are meant to be risk adverse in nature to protect shareholder’s interest. In the view point of a lender, what matters most when extending out loans is to assess whether if the borrower will be able and willing to make timely repayments of the loan with interest without defaulting. Without the means to quantify and measure repayment intention, the most logical quantitative credit analysis would then be repayment ability. There are two basic assumptions in modern economics; one is the scarcity of resources and the infinity of human wants and desires. The second is that rational people will always assume that any individual under the constraints resource will always make the most optimal decision when allocating capital and resource. Therefore, banks as for profit enterprises will naturally focus their resources on larger corporates and companies that are of higher credit quality before allocating funding to the riskier SME segment. Banking is a very conservative and heavily regulated industry. Banks and financial institutions are not charitable organizations. It is the onus of the borrower to prove to the banks without any doubt that he/she is of credit worthiness and have to ability to repay. Small business loan financing has always been historically and globally a tough question to solve. Most new startups statistically have very short survival rate and it is common for most banks to only consider looking at financing of SMEs with at least 2-3 years of operational experience. With the smaller loan sizes for small business loan in Singapore couple with the higher risk banks undertake, cost of financing for SMEs will also be correspondingly higher in terms of interest rate. Although government financing schemes such as SME Working Capital Loan and the SME Micro Loan helps SMEs with more access to financing and lower interest rates, it does not solve the problem entirely. The government has already introduced a slew of initiatives targeted to help SMEs adapt to the economic slowdown and restructure. These measures and initiatives are among the most generous in Asia. One way to overcome the problem of SMEs gaining more access to financing is through a possible hybrid model of debt and equity financing. The high risk of small and medium enterprises determines that it is actually more suitable for equity financing. Most SMEs however would usually choose debt over equity financing as the directors do not want to dilute their ownership. Venture capitalists and equity investors take an inverse mind-set from the banks when investing in small businesses startups. Unlike the banks that have to ensure that at least 97 to 99 out of 100 borrowers they lend to must not default on their loans, equity investors are able to stomach the failure of 9 out of their 10 investments. With equity stakes in promising startups, just 1 winner out of their portfolio of 10 companies will more than cover the capital write down costs of the other 9 which failed. A successful equity investment like the stake Masayoshi Son of SoftBank placed on Alibaba made him 2500 times return on his investment. For debt financing, no matter how successful the enterprise becomes, the interest extended on a loan remains the same. 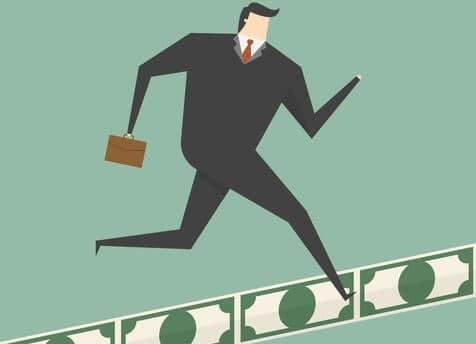 To ease the financing difficulties of SMEs and lower the cost of financing, a hybrid model consisting of both debt and equity funding with the collaboration of both government and banks and investors might just work.